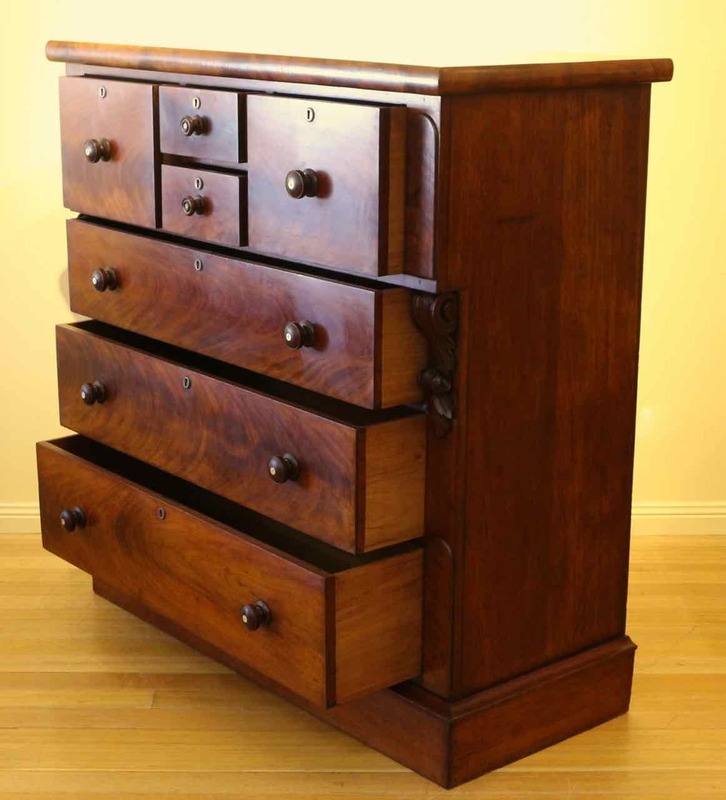 Large mid 19th Century Australian Cedar Chest of 7 Drawers, of cantilevered design, featuring two hat drawers and two shallow drawers, above three full width graduated drawers, standing on a plinth base. 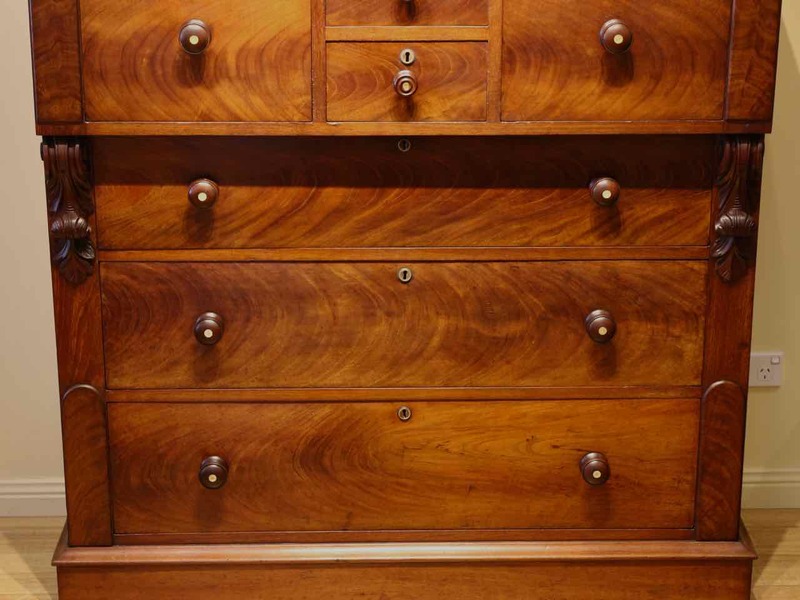 All drawer fronts are veneered in thick flame cedar, beautifully cut and polished to highlight the highly figured grain. Full cedar construction. 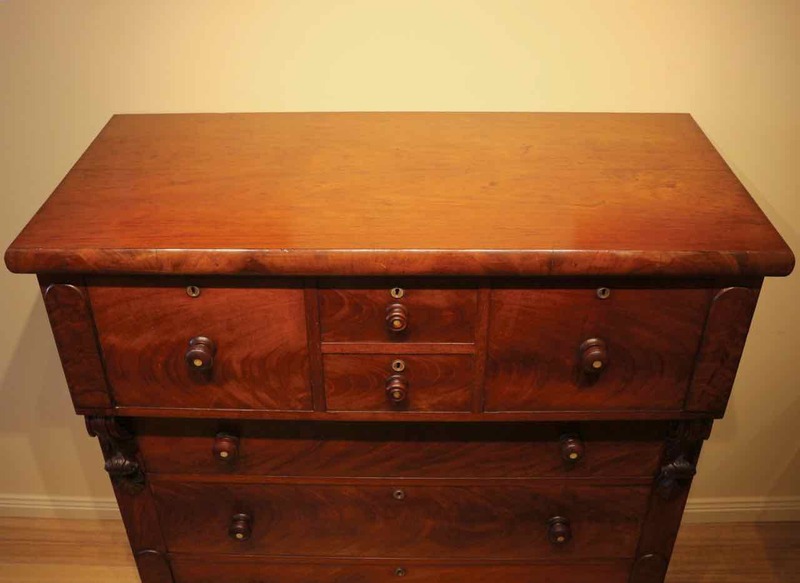 A very good quality Australian antique, made by a skilled but unknown maker, in very good condition. 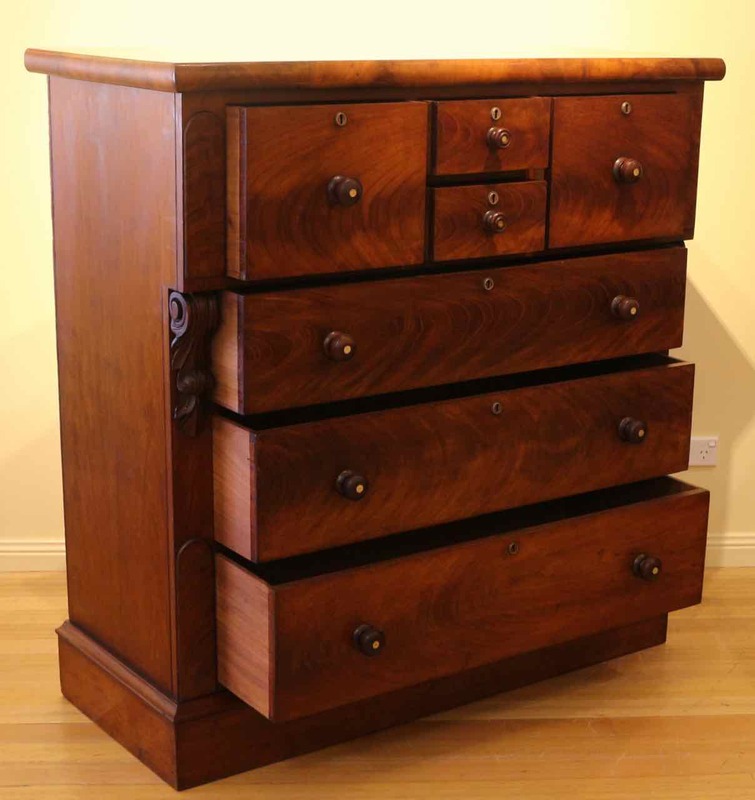 All drawers work smoothly and all drawer runners have been repaired to our usual high standards. 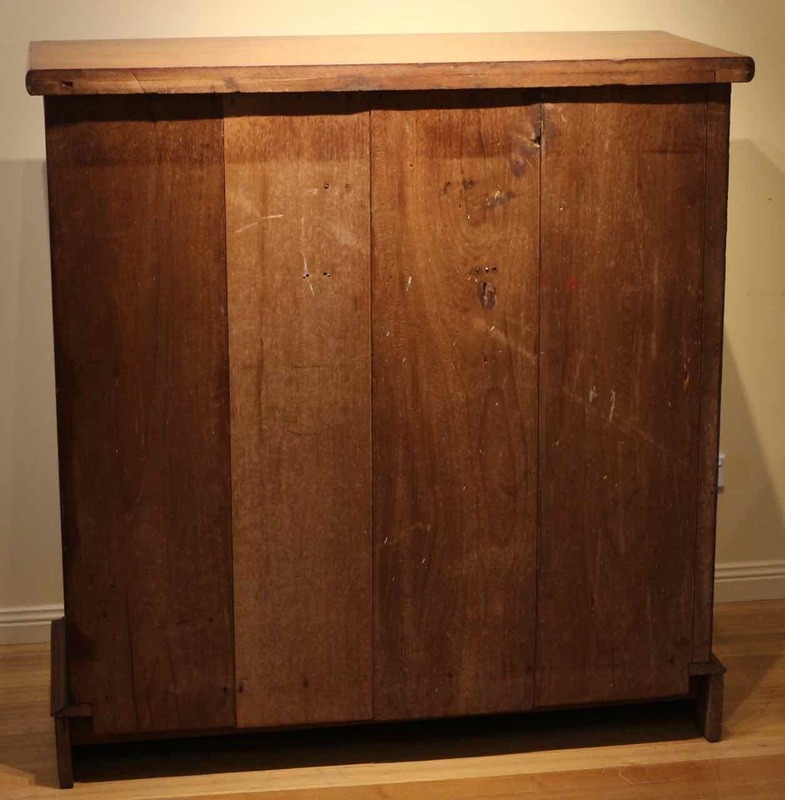 Cedar was chosen as the primary cabinet making timber by the early British settlers because it so closely resembled the South American mahogany that was so popular back home in the mother country. 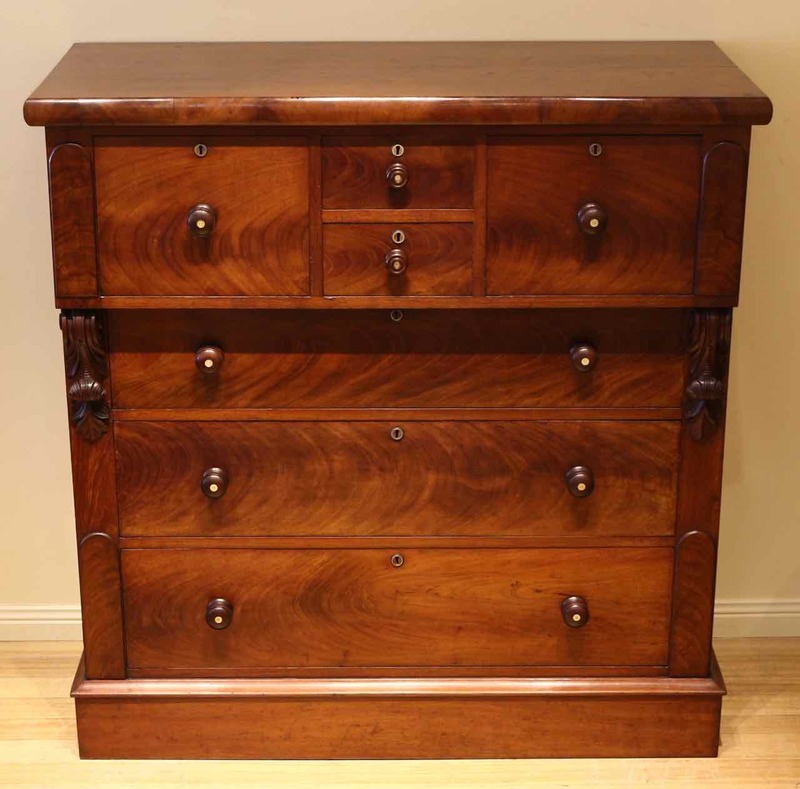 This piece is a particularly good example, with the cedar veneering having a very similar appearance to mahogany.